I love cooking brunch on the weekends. There is something so relaxing about a hearty meal of eggs, toast and tea then sitting out in the sun to enjoy it with family. 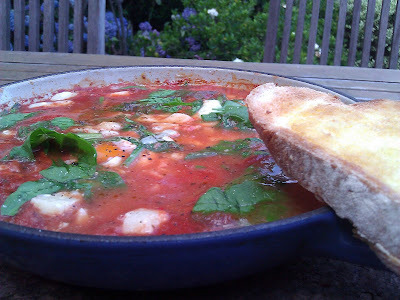 This recipe was taken from The Age a couple of years ago. Poached eggs are great but sometimes I want something different. This is an easy one for protein and a bit of flavour. 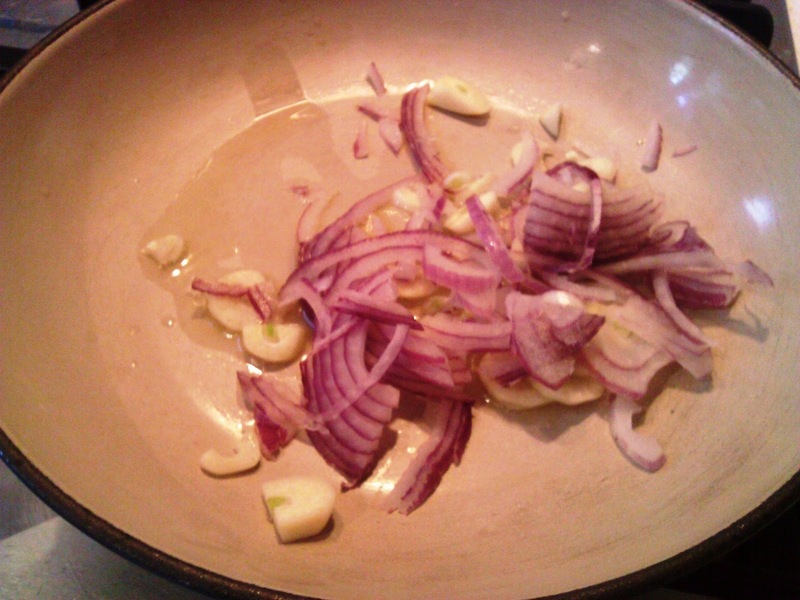 In a small shallow pan heat the fry the onion and garlic. 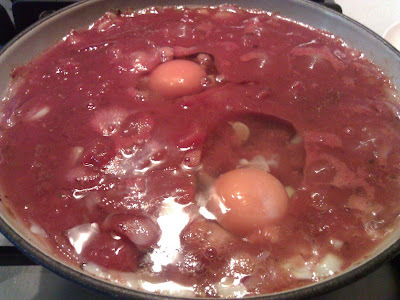 When they are starting to cook, add the tinned tomatoes. Add the paprika and chilli and stir. Once the tomatoes start to bubble, drop in the eggs one at a time. Cover the pan so that the eggs cook through. When they are almost done add the fetta, olives and parsley. When the cheese is melted and the eggs are cooked, the meal is ready. I always serve this one straight from the pan as it is nice to get the edges with some crusty, buttered toast. It also keeps it warmer. Bonne apetit!